RoundFlash Ring Flash Adapter | Beau Photo Supplies Inc. The RoundFlash Ring is a ring flash adapter that changes a regular speedlight mounted on your DSLR hot shoe into a huge ring flash. RoundFlash Ring is designed to give the best ring flash effect possible. 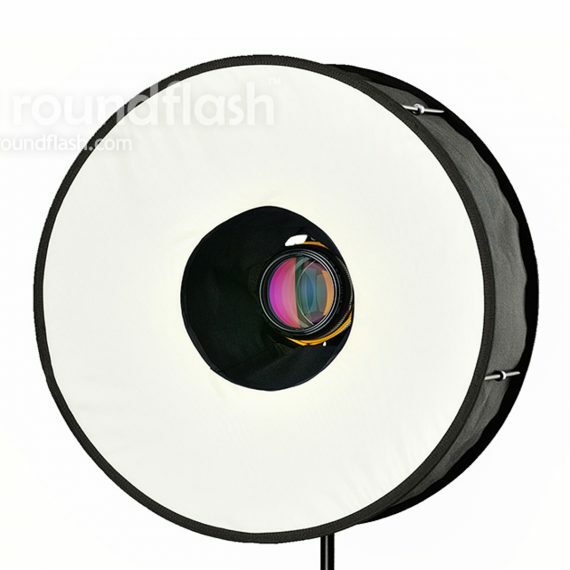 Its large diameter allows you to illuminate objects with a big, round, smooth light. Allowing you to produce almost shadow-less photographs. The flash from a speedlight gun reflects onto the interior mirror system and is dispersed into a very even ring of light.